There are several different types of TB test. There are TB tests available to diagnose TB. There are also TB tests to find out if someone has TB bacteria that are susceptible to tb drug treatment. If the bacteria are susceptible to treatment, it means that the treatment should work. The opposite of being susceptible to treatment is being drug resistant. A TB test to find out if someone has drug resistant TB, is known as a drug susceptibility test. Even if a person has symptoms of TB it is often difficult to diagnose TB, and it is particularly difficult to diagnose rapidly. Rapid diagnosis is what is needed to provide effective TB treatment for drug resistant TB. 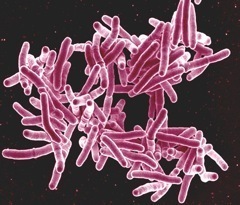 The development of TB disease is a two stage process. In the first stage, known as latent TB, a person is infected with TB bacteria. In the second stage, known as active TB or TB disease, the bacteria have reproduced sufficiently to usually cause the person to have become sick. Some tests are for latent TB, others are for active TB, and some are for both. A diagnosis of active TB disease can only be confirmed when there is definite evidence of TB bacteria in the person’s body. Some of the TB tests, such as the skin test, look directly for TB bacteria. Others such as the chest X-ray look for the effect of the bacteria on the person suspected of having TB. Some of the current TB tests take a long time to obtain a result, and some TB tests are not very accurate. The TB tests either have low sensitivity (the ability to correctly detect people with TB) and/or low specificity (the ability to correctly detect people who haven’t got TB). If a TB test has low sensitivity, it means that there will be a significant number of “false negatives”, meaning that the test result is suggesting that a person has not got TB when they actually have. Similarly, a low specificity means that there will be a significant number of “false positives” suggesting that a person has TB when they actually haven’t. The most accurate tests such as culture take a long time to do. Some tests are also very expensive and require complex laboratory facilities. Although the culture test for TB is very accurate, it can take several weeks to get a result. It also requires expensive equipment and skilled personnel. The TB skin test is a widely used test for diagnosing TB. In countries with low rates of TB it is often used to test for latent TB infection. The problem with using it in countries with high rates of TB infection is that the majority of people may have latent TB. http://www.cigna.com/individualandfamilies/health-and-well-being/hw/medical-tests/ The TB skin test also cannot tell if the person has latent TB or active TB disease. The Mantoux TB test is the type of TB test most often used, although the Heaf and Tine tests are still used in some countries. None of these TB tests though will guarantee a correct result. False positive results happen with the TB skin test because the person has been infected with a different type of bacteria, rather than the one that causes TB. It can also happen because the person has been vaccinated with the BCG vaccine. This vaccine is widely used in countries with high rates of TB infection. False negative results particularly happen with children, older people and people with HIV. The Interferon Gamma Release Assays (IGRAs) are a new type of more accurate TB test. In this context referring to an assay is simply a way of referring to a test or procedure. IGRAs are blood tests that measure a person’s immune response to the bacteria that cause TB. The immune system produces some special molecules called cytokines. These TB tests work by detecting a cytokine called the interferon gamma cytokine. In practice you carry out one of these TB tests by taking a blood sample and mixing it with special substances to identify if the cytokine is present. Two IGRAs that have been approved by the U.S. Food and Drug Administration (FDA), and are commercially available in the U.S., are the QuantiFERON® TB Gold test, and the T-SPOT® TB test. Smear microscopy of sputum is often the first TB test to be used in countries with a high rate of TB infection. Sputum is a thick fluid that is produced in the lungs and the airways leading to the lungs. A sample of sputum is usually collected by the person coughing. www.thelancet.com/journals/ In countries with a high prevalence of both pulmonary TB and HIV infection, the detection rate can be even lower, as many people with HIV and TB co-infection have very low levels of TB bacteria in their sputum, and are therefore recorded as sputum negative. The use of fluorescent microscopy is a way of making sputum TB tests more accurate. 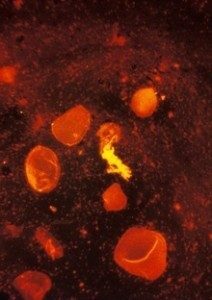 With a fluorescent microscope the smear is illuminated with a quartz halogen or high pressure mercury vapour lamp, allowing a much larger area of the smear to be seen and resulting in more rapid examination of the specimen. www.nationaljewish.org/healthinfo/Conditions/tb/diagnosis Also, acute pulmonary TB can be easily seen on an X-ray. However, what it shows is not specific. A normal chest X-ray cannot exclude extra pulmonary TB. 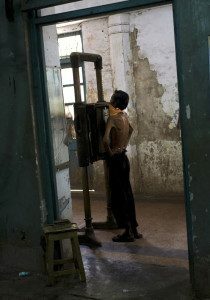 Also, in countries where resources are more limited, there is often a lack of X-ray facilities. Serological tests for TB are tests carried out on samples of blood, and they claim to be able to diagnose TB by detecting antibodies in the blood. However, testing for TB by looking for antibodies in the blood is very difficult. As a result serological TB tests, sometimes called serodiagnostic tests, for TB are inaccurate and unreliable. The World Health Organisation has warned that these tests should not be used to try and diagnose active TB. Some countries have banned the use of serological or serodiagnostic tests for TB. Serological tests for TB are very different from the IGRA tests described above. Some new molecular tests such as the Genexpert test and the TrueNat test are now beginning to be available. They are though too expensive to be widely used in many countries. However, the control of TB in South Africa is starting to show what is possible. There is no single test that can be used to test for TB in all circumstances. Some tests are cheap but not very accurate. Some can only be used to test for TB and cannot test for drug resistance. 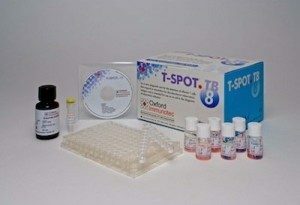 Others such as the TB culture test, the new Genexpert TB test and the TrueNat test can be used to diagnose TB and they can also test for some types of TB drug resistance. With the development of the new molecular tests there is beginning to be significant progress. However it is unclear why the implementation of these tests cannot be faster. Although there are some issues about the speed with which patients are provided with treatment after receiving a diagnosis, faster diagnosis must surely be a key factor in controlling the TB epidemic in resource poor countries.